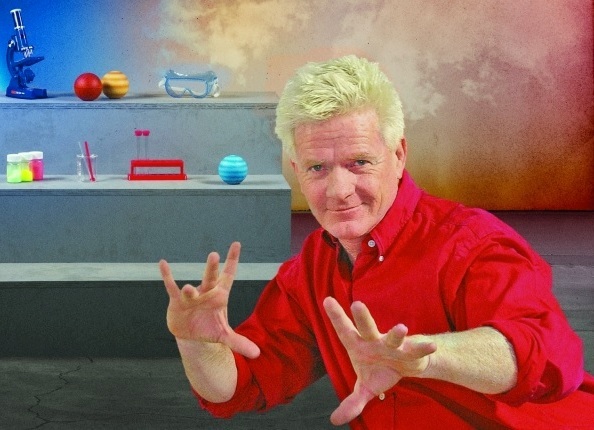 Richard Scholes is a multi-award winning entertainer, scientist and teacher. Richard’s life has been a unique blend of academic life and performing arts. Richard has a Bachelor of Education and has also won Australian Stage Magician of the Year and twice won Queensland Entertainer of the Year. He has studied mime, mask and commedia in London and Europe. With his unique blend of mask, mime, magic and hand shadows He has worked with the Queensland Theatre Company. He has graced the stages as guest artist for legendary performers as diverse as Shirley MacLaine, B.B. King, and Lou Rawls to a 3-month tour of Australia with Billy Connolly and performed in three Royal Command Performances, two for the King and Queen of Sweden and one for the Princess of Brunei. A totally unique show that will have children spellbound that combines science, illusion and the arts. The Magical World of Crazy Science is a delightful mixture of magical visual science demonstrations that teaches a wide array of science concepts. Take a wild ride with your host Richard Scholes through the Magical World of Crazy Science. Witness giant columns of elephant toothpaste, a genie’s appearance from a lamp, the world’s weirdest bird or Sir Isaac Newton ‘live’, massive smoke rings zooming and toilet paper flying, levitations gigantic bubbles, mountains of slime and billowing concoctions. Have you ever seen your skin crawling in front of your very eyes? Add to this the hilarious mix of interactive magic and you have one very engaging science show. 40 pages of teachers’ notes provided. Wild Weather: The Crazy Scientist Strikes Back! Richard Scholes is back with some of the most exciting experiments from Crazy Science & H2Whoa! plus new earth-shattering, lightning striking experiments that will change the way students see and feel the weather. 30 pages of teachers’ notes provided! Students will be let loose in a science lab where discovering the mysteries of planet earth and the weather are a top priority. The crazy scientist has devised some of the world’s wackiest experiments to explore the inner workings of the sun, cyclones, rain and clouds. Students will be drawn into the world of crazy science as they become part of the experiments and assist Richard as he brings the power of the weather into the classroom. Wild Weather: The Crazy Scientist Strikes Back is a visual, messy, larger than life look at the way our wild world works.